Our solution delivers proof of the quality and integrity of products transported to the patient or food consumer. We do this by providing personal dashboards for logistics management, enabling our customers to ensure both product compliance and quality, and reduce costs by making cold chain logistics operations more efficient, automating the task of meeting regulatory requirements. With Dyzle’s solution, we provide you with relief from the burden of being compliant with new Good Distribution Practice (GDP) rules and regulations, by automating the temperature monitoring and reporting. From farm-to-fork or from production-to-patient, Dyzle’s solution automatically fulfills in real-time the need of mandatory registration and interpretation in the global food & retail, pharmaceutical, transport and logistics markets. In particular it helps customers with regulations relating to Good Manufacturing Practice (GMP), Good Distribution Practices (GDP), and to meet the requirements of mandatory HACCP (hazard analysis and critical control points) registration. The core of our PaaS solutions is Dyzle Live-Ware®, which provides management visibility and control over processes crucial for the quality of products, with three important outcomes: it provides confidence in your product safety, promotes sustainability and reduces cost. 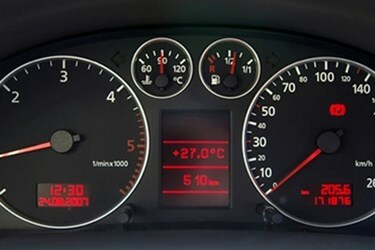 By measuring a large number of variables, such as temperature, humidity, CO2, GPS location and energy, we provide insight into these critical variables which are clearly and logically displayed on a Personal Dashboard. If any action or intervention is needed by management when one of the variables exceeds preset limits or values, Dyzle’s platform provides immediate real-time alerts that can be viewed on the dashboard and acted upon. Dyzle is the first company to offer this as an open-platform service: we can integrate and utilize data collected from other systems or legacy technologies (for example, other sensor and monitoring systems) making us uniquely positioned to meet customer needs in their critical business processes. Dyzle works with established IT and installation companies as well as BI (business intelligence), ERP and management consultants. Our strength is in the expertise of our staff with extensive knowledge of the sectors we address. Our customers are companies in the pharmaceutical, food, hospitality and logistics sector, as well as local and regional authorities. The value of Dyzle’s solution is to fulfill our customer’s need for accurate and up to date information about a company’s primary processes. As information is the ‘fuel’ that drives every company, and these primary processes enable the company to generate revenues and profit, it is important to have an open real-time monitoring and analysis solution to enhance visibility and ensure cold chain logistics processes are optimized. Dyzle’s solution provides that real-time visibility of our customer’s data.